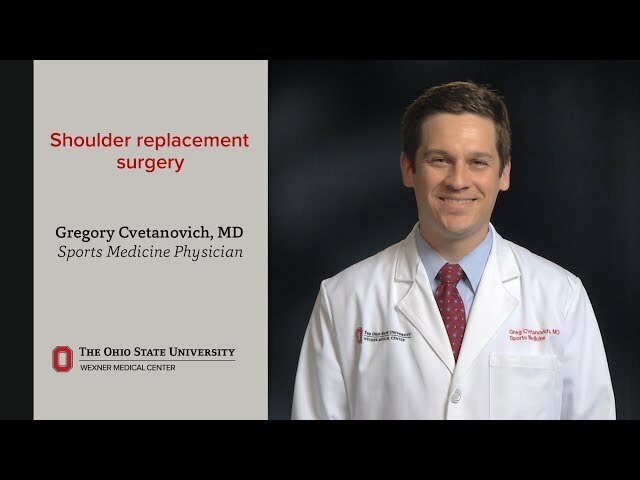 As an orthopedic surgeon with a subspecialty in sports medicine and shoulder surgery, I perform the most advanced surgical techniques of the shoulder, elbow and knee. I use non-operative treatments whenever possible and use surgery as a last resort. In order to provide individualized care to each patient, I begin by listening to his or her unique problems and goals. I aim to help patients understand their orthopedic condition and work with them to choose the best treatment to help them return to their activities. I’m passionate about helping people of all ages and backgrounds regain their quality of life and return to the activities they love. Working at Ohio State allows me to provide cutting-edge clinical care to patients. I take pride in collaborating with a team of sports medicine experts and participating in clinical research that improves treatments for our patients. I also enjoy teaching medical students, residents and fellows. As of 12/20/2018, Dr. Cvetanovich has reported no relationships with companies or entities.